Rich in cultural history coupled with cutting-edge technology, The University of the Sciences in Philadelphia decided to update their recreational facility. 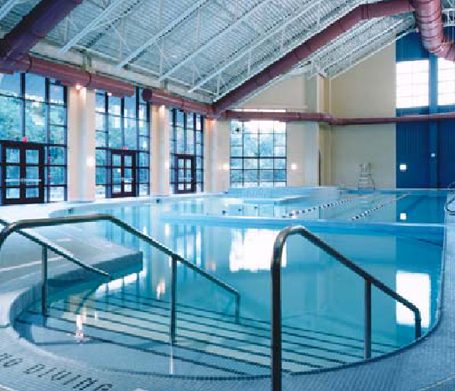 To provide the full scope of athletic and recreation demands of the current student body, Bower Lewis Thrower Architects in association with Counsilman Hunsaker designed a 25-yard lap pool for fitness and an indoor leisure spa pool with an underwater bench and hydrotherapy jets for recreational use. Every major space has carefully placed openings to allow for natural daylighting. In 2004, this facility was featured as an Architectural Showcase in Athletic Business Magazine.